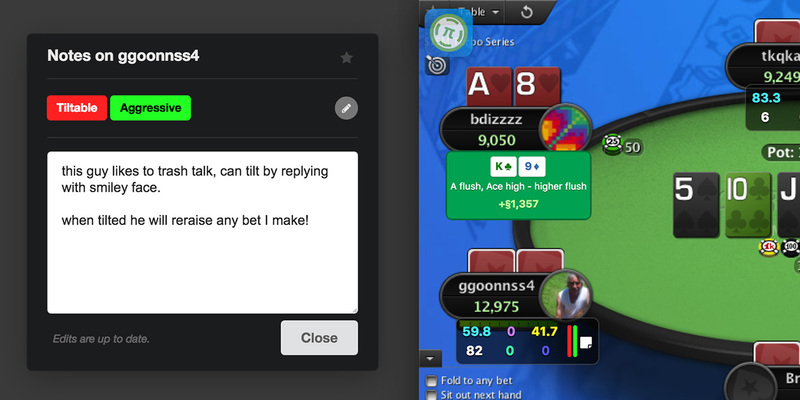 You can now take notes, star or create tags for the players at your table. All of this can be done from the new Notes popup which can be opened by clicking on a player’s HUD box and selecting “Show Player Notes”. Just start typing your note and it will save automatically. Tags can be created, added, or removed by clicking on the pencil icon. 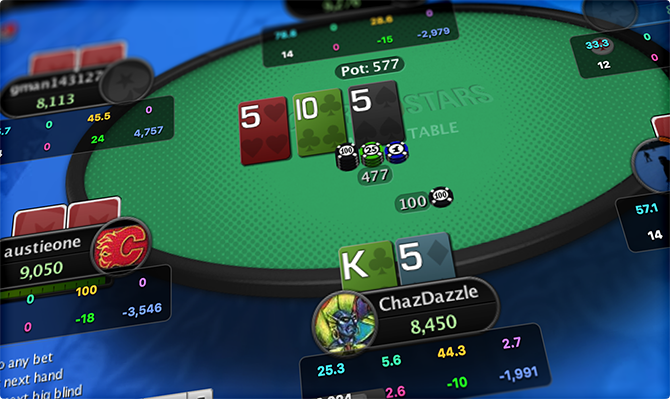 A star feature is also available for keeping track of important opponents. Once added, notes, tags and stars will appear as icons alongside the stats in each player’s HUD box. Hovering over this section of the HUD box will display the information in a tooltip and clicking on it will re-open the Notes popup. These visualizations will update automatically as new data comes in and make it easier to get the information you need. You no longer have to go back through your hand histories to see what a player was holding. The new mucked cards display overlays boardcards and holecard on top of the table after each showdown. That way you can keep your focus on the table. Green background indicates a winner, red a loser. We’re excited to have you try out version 1.0 and look forward to hearing your feedback!